I'm so thankful that my kids love salads. We got them started on Caesar's salad pretty early on, and since then they've learned to love practically every combination of fresh veggies and dressing. On busy weekday nights, having a salad dinner is an easy way to feed the family in minutes. One of our favorite salads also happens to be one of the easiest to prepare -- just toss tomatoes, sweet corn, black beans, lime, olive oil, cilantro, crumbled gorgonzola cheese and seasonings into a bowl. Sometimes I give the salad a bit of a kick by using a more peppery oil. Sometimes we'll substitute goat cheese or feta cheese, depending on what's in the fridge. 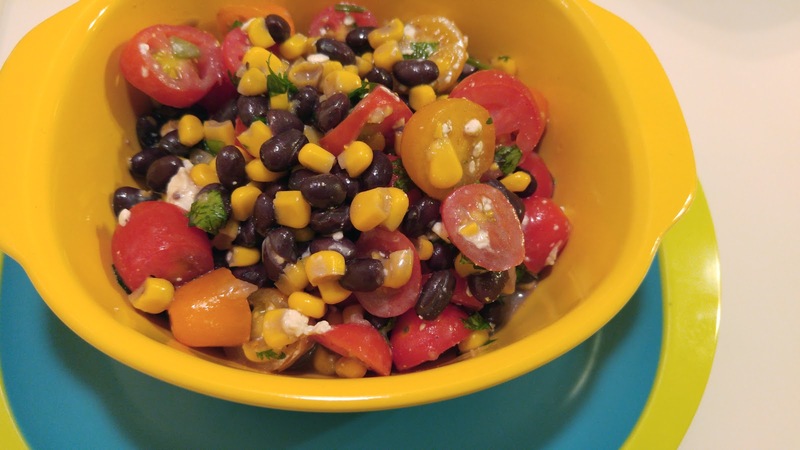 This salad goes great with a quesadilla and mashed avocado; you can also toss in some lettuce and have it with a wedge of buttered bread. 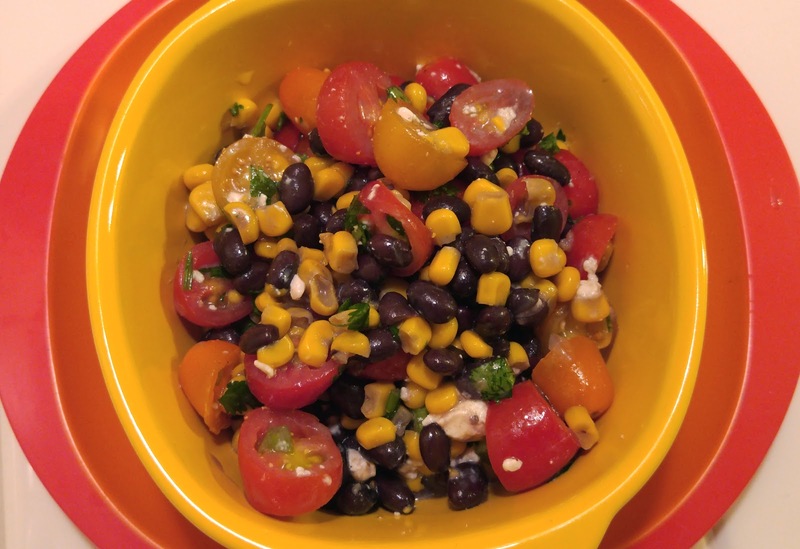 The cheese and black beans are so filling, you might not need a main course! What's your family's favorite salad?